Whether it's wet, dry, hot or cold, there is a wide variety of extreme weather and you should make sure that you and your home are ready. We’ve prepared a Checklist for Preparing Your Home for Extreme Weather that includes a list of things to keep on hand at home, packed up and ready at all times for any natural disaster situation. When it comes to extreme heat and wildfires, here is what you should know and how you can protect your home and loved ones. Extreme heat or a “heat wave” is a prolonged period of excessive heat, often combined with excessive humidity. These high temperatures (typically over 100˚F) are not only dangerous to your body (heat cramps, exhaustion, heatstroke), but can also damage your home. Extreme heat can occur anywhere in the country but is common in southern states, especially in the Southwest. High temperatures are more likely to occur during the peak of summer. 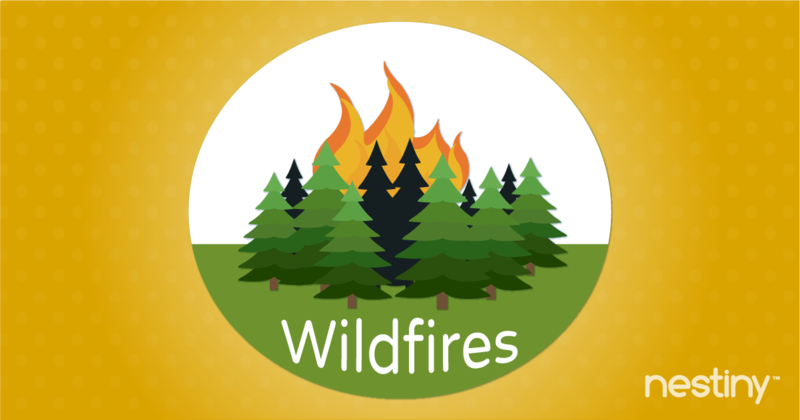 A wildfire is an unplanned, unwanted fire burning in a natural area like a forest or field. Any homes or businesses nearby these natural areas are susceptible to wildfires. Natural causes (like lightning during a storm) can start wildfires, but most fires are caused by humans. Cigarettes, campfires and burning anything outside can accidentally cause a wildfire. You can experience wildfires anywhere in the country but they are common in California and areas nearby. Wildfires can occur at any time throughout the year, but are more likely to occur when there is little or no rainfall, which means vegetation is dry and can burn more easily. High winds often cause fires to spread more rapidly. Some communities have a designated wildfire season when there is a high risk of wildfires. Extreme heat and wildfires can cause serious damage to your home, property and community and can be extremely dangerous for your loved ones, leading to injury or death. They can also disrupt utility services like gas, power, phone and internet. The impact can affect areas beyond the visible damage, including home damage and health issues from smoke. Heat and humidity create moisture, which can damage or create mold & mildew in crawl spaces, attics, bathrooms, window and door seals and plumbing. Extremely hot temperatures can also damage your roof, siding, decking, paint, wiring, gutters, HVAC systems, insulation, concrete and foundation. 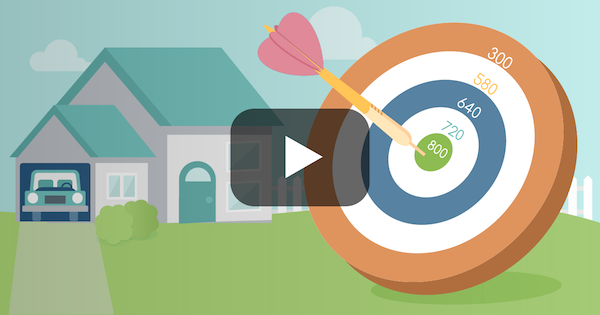 Some damage you can easily see, while other damage will require calling in an expert to assess. Just as you want to do with winter storm weather, follow the weather forecast in regard to heat and fire concerns. 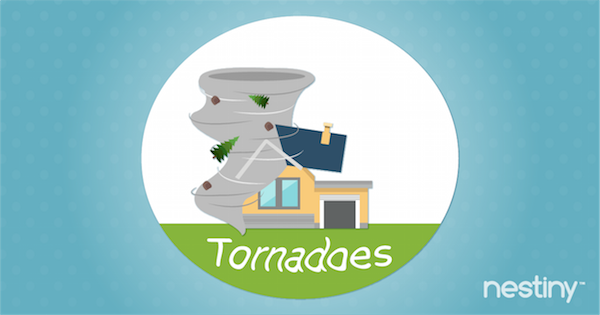 Understand the different advisories, watches and warnings that you may face. Red Flag warnings - alerts officials that there are wildfires that are spreading rapidly. Be careful and take heed to these warnings. When you start seeing wildfire warnings, your home will be in jeopardy. In addition to having your Emergency Supply Kit on hand, consider the following advice to prepare your home. Build or buy your home in a fire resistant area - if at all possible, settle down in a location that screams fire resistant. A home in the middle of the forest isn’t a good idea. And make sure you have a place for a firetruck to turn around on your property. Design your home, or choose an already built home that can survive wildfires. 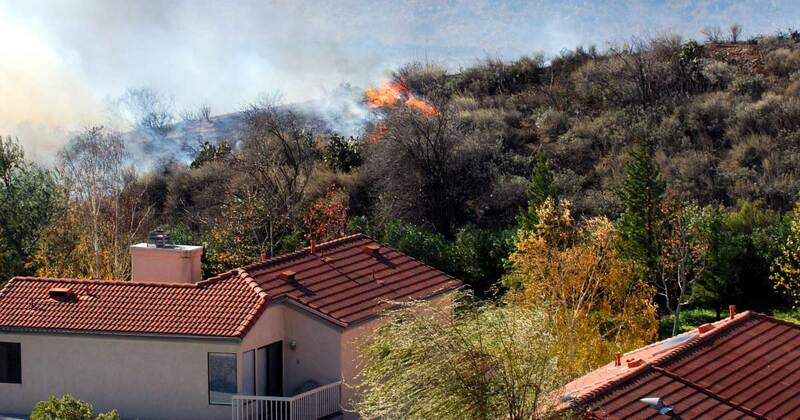 If you do settle down in a wildfire prone area, a wildfire will attack your home from the outside. And depending on the winds, they can invade your home in just minutes. Use a fire rated roof, installed over a fire-resistant cap sheet. Use an ember resistant exterior (stucco, metal, concrete, or other ember resistant styles). Pay close attention to overhangs and other areas where flames can get trapped. Protect your windows - they are weak areas because glass can shatter with high temperatures. You can install roll down metal fire doors, built into the overhangs or side recesses that are released automatically during a fire threat. Use fire rated doors for extra safety measures. You can use fire dampers for the louvers and vents, or metal noncombustible wire screens. And finally, adding special items such as sprinkler systems or a house generator will increase the likelihood of your home’s survival during a wildfire. Create buffer zones in your landscaping between your home and the trees and shrubs around it. Plant less hardwoods, keep grass mowed, keep gutters cleaned, remove dead plants, and keep trees trimmed away from your home. Consider removing your fence and deck as an extra precaution because they can easily catch fire. Install smoke detectors on every floor, near every bedroom, and test them monthly. Have a garden hose handy. If you received orders to evacuate, take extra measures to save your property. Clear combustible material like brush and dead grass away from around your home. Close doors and windows (inside and out). Move furniture to the middle of the room. Turn off gas and your A/C. Turn lights on for visibility. Load your vehicle with your emergency supplies kit and get your car ready to go. First and foremost, always make sure you stay safe. Evacuate when given the order. Immediately. Even if you are unable to take care of all the above, keeping yourself and your family safe is top priority. Make sure everyone knows how to use the fire extinguisher and practice your emergency plan as a family. Make sure you have a good insurance policy and a family emergency plan just in case! Identify two different routes out of your neighborhood in case your primary route is blocked by fire. In the event that you get separated, select a contact outside of your area to check in with and choose a place outside of the neighborhood for your family to meet. And don’t forget your pets! When you are able to return to your home, do so very cautiously, and don’t return until the authorities say it is safe to do so!